The car ride home was silent as Rebecca and Omar tried to wrap their heads around these words. They found solace in tears, in each other, and by trying to find out as much as they could about their unborn baby’s condition. For the next two weeks, Rebecca kept feeling the baby kicking. 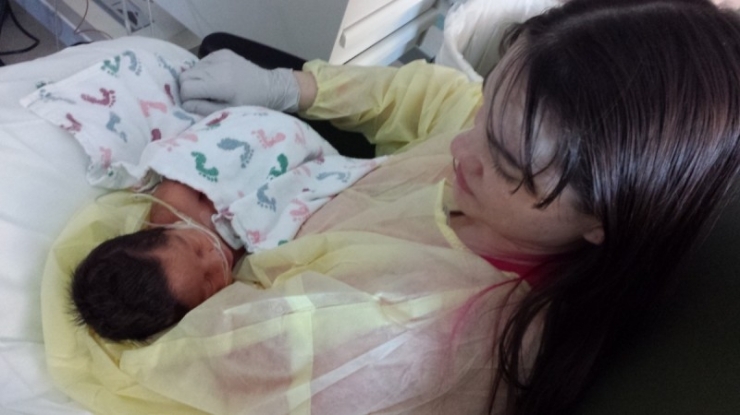 She knew that terminating the pregnancy, for her, was not an option. 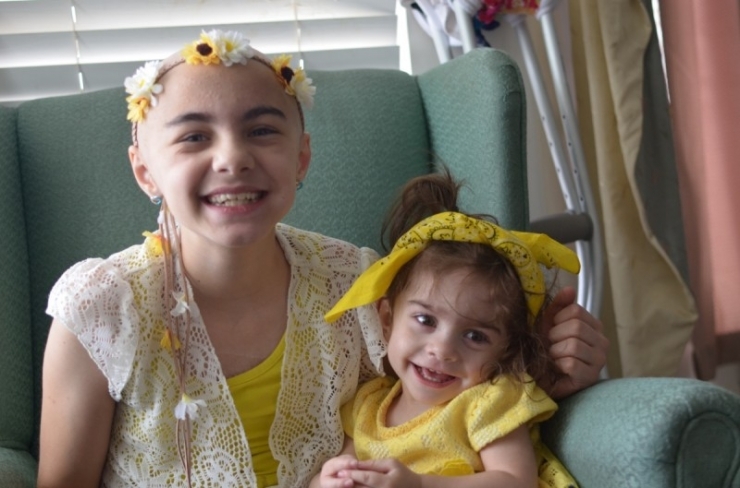 On May 7, 2013, Jocelyn defied the odds. 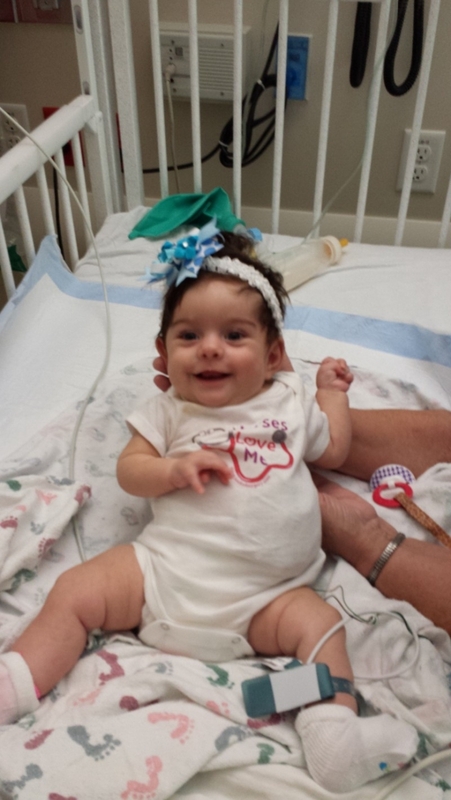 At 3 days old, Jocelyn had her first surgery. 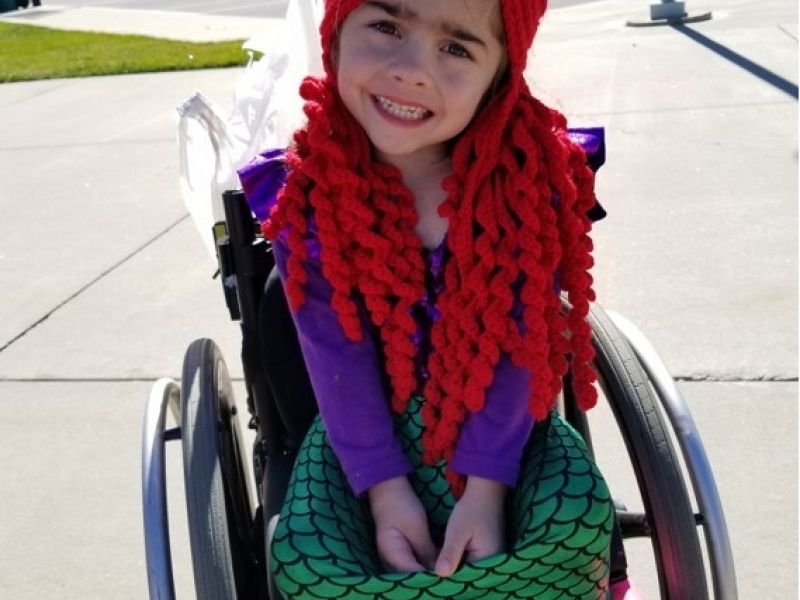 It was then that she was diagnosed with OEIS Complex, a rare genetic condition that results from a mutation in DNA and causes severe birth defects and displacement of organs. This disorder occurs once in 400,000 births and there is no cure. Jocelyn spent the majority of her early days in the hospital. She had to spend time in a harness to correct her bilateral hip dysplacia. 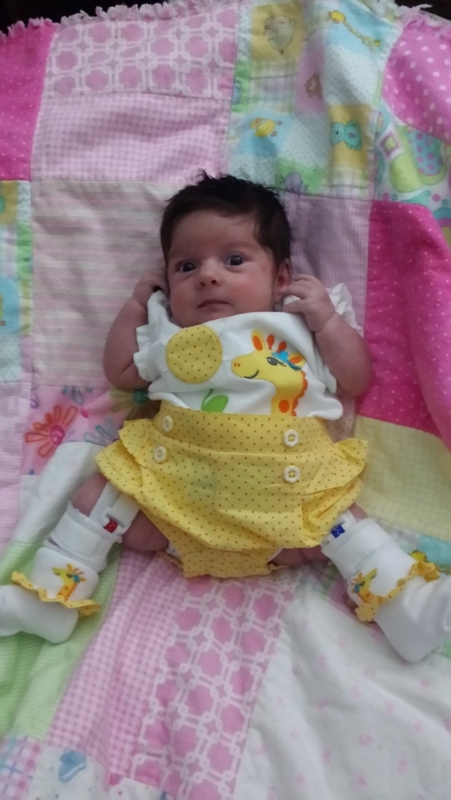 At one month old, she fell ill and spent 2 weeks in the hospital. 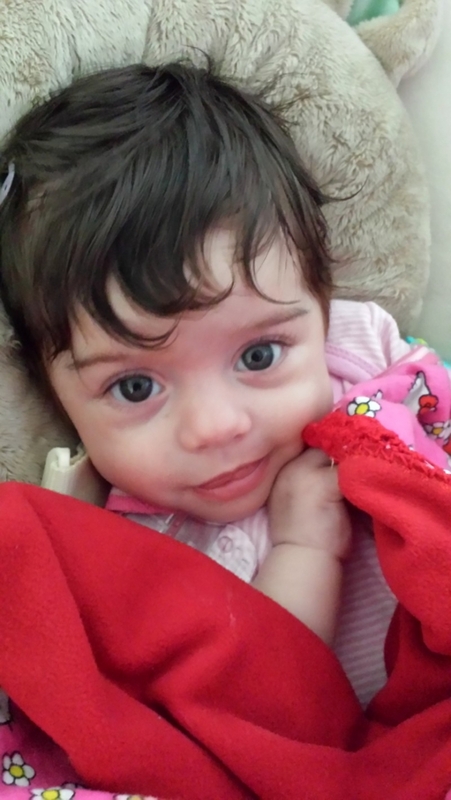 At four months old, she had a spinal stroke and underwent emergency spinal surgery. She had multiple surgeries to correct her kidney malformations and reduce her pain. But, somehow, she smiled through it all. 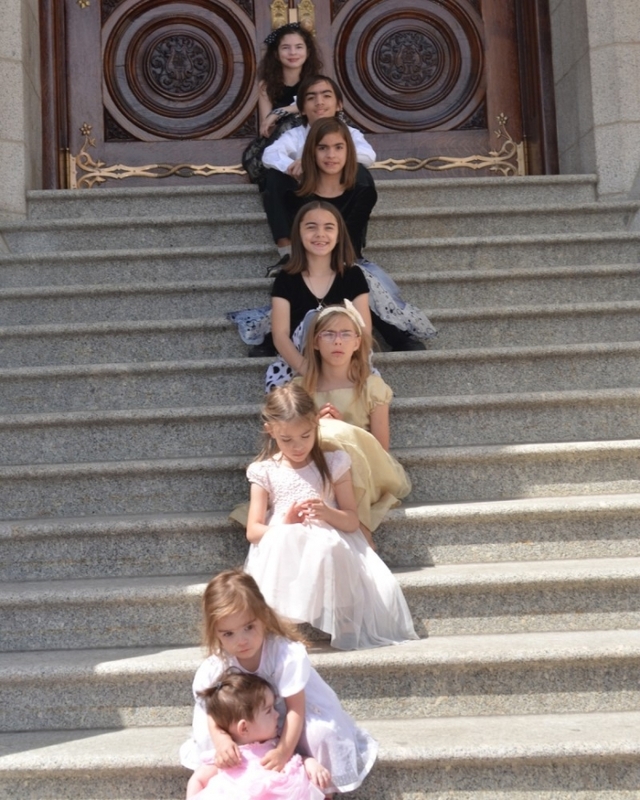 Jocelyn looks to her siblings for strength and courage. They in turn provide unconditional support. Bravery must be in the genes of the Hernandez family. Well, this 3 year-old has her sights on some new goals: she wants to walk, and she wants to travel. The family didn’t know how to make this happen, but once Jocelyn is focused on something, nothing else matters. 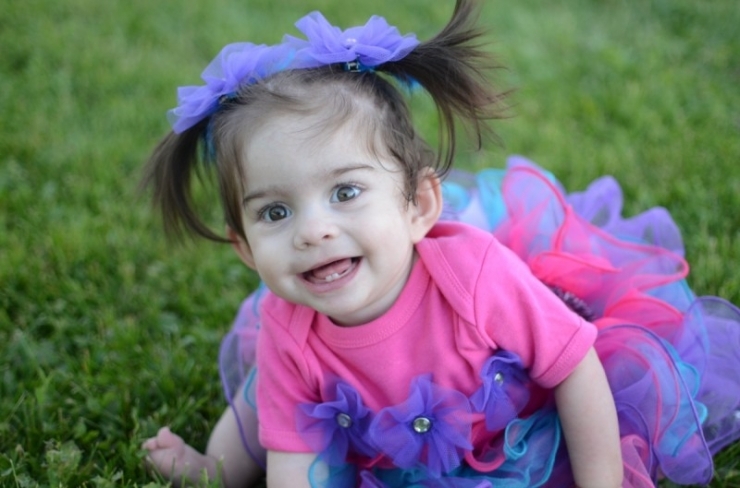 Once Jocelyn was approved for a grant, we asked the Hernandez family if there was anything else we could assist with. We aim to make the world 10% happier, after all. She responded that yes, actually, there was. Jocelyn had been trying lately to take steps with her walker. She is fiercely independent and, as we know, very determined. But the carpet kept inhibiting Jocelyn from moving forward with her walker, the wheels would get caught. 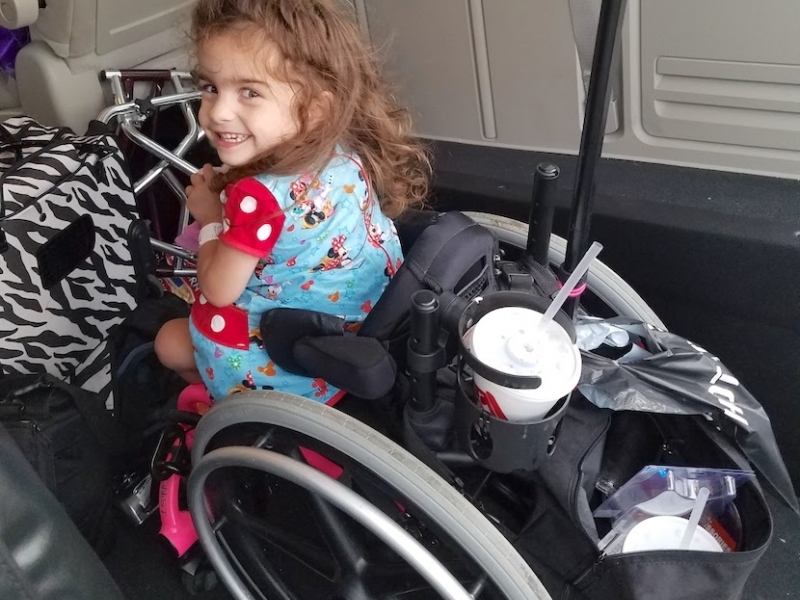 With a $45,000 grant, we purchased a 2016 wheelchair-accessible Dodge Grand Caravan and wood flooring so the obstacles that once held Jocelyn back… are no longer a problem. 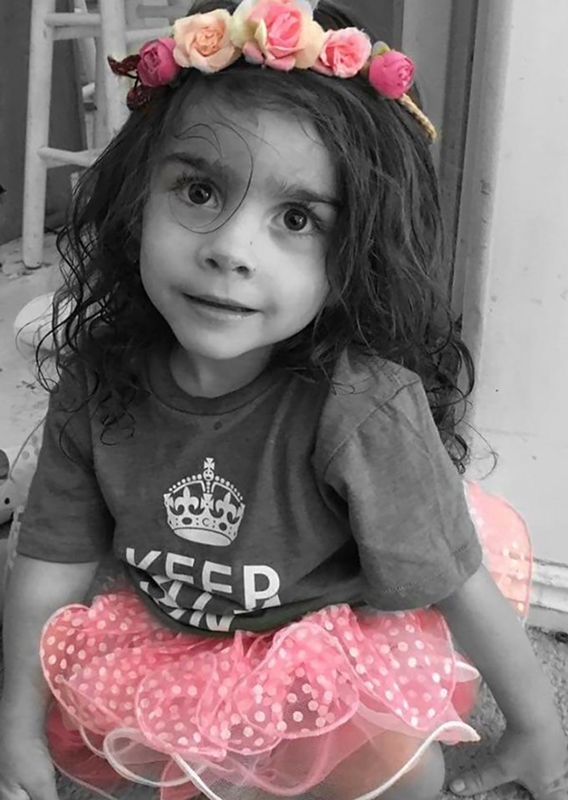 At 3 years old, Jocelyn has already had 19 surgeries. That’s 6 a year. That’s like having a surgery every two months. Imagine barely having enough time to heal, to catch your breath, before fighting to survive again. And she’s 3. Jocelyn has never let her rare diagnosis define her, in fact, she doesn’t realize she isn’t like everyone else. That impenetrable spirit is what makes the Chive Charities underdogs so unique. They are fierce. They are strong, both physically and mentally. They defy the odds. They ignore the statistics, the can’ts, the won’ts, the limitations put on them by everybody else. They are forces to be reckoned with. And, often, they come in the form of 3 year-old girls. “She’ll never be ‘normal’,” Rebecca tells us. 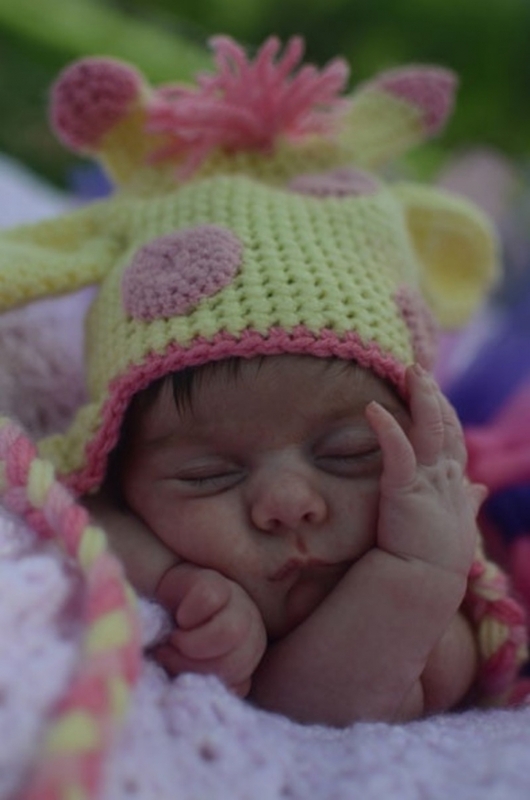 “But she’ll always be a miracle.” And now for this little miracle… the sky’s the limit. 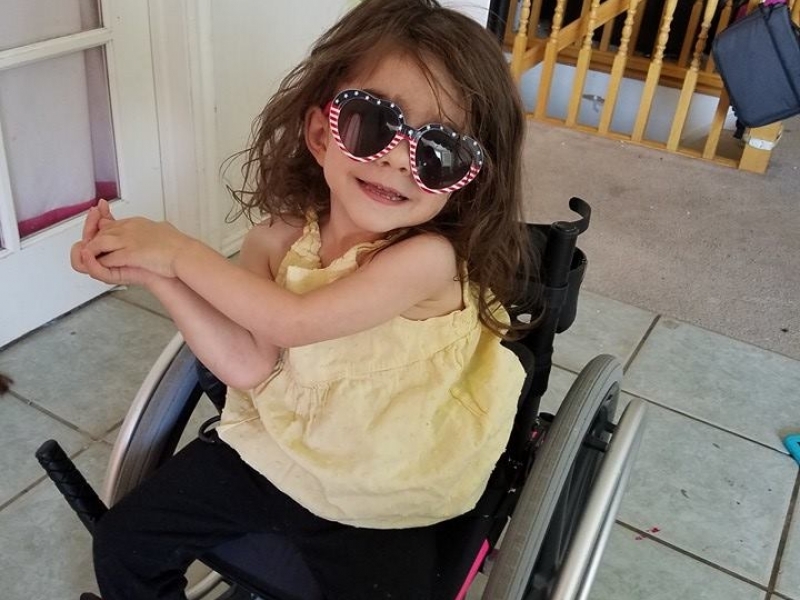 With new floors and a van that can accommodate Jocelyn safely and comfortably, she is one step closer to living the exact kind of life she wants – one that she defines for herself. 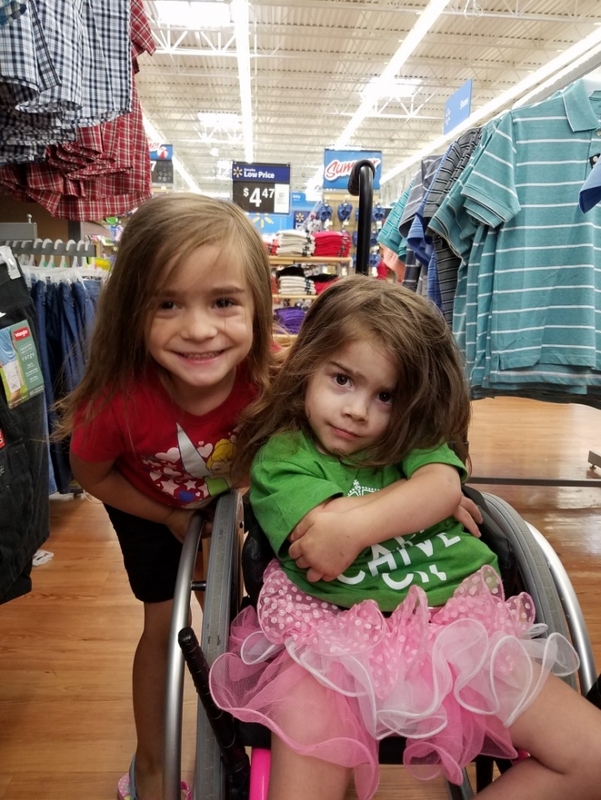 Give the next Jocelyn the gift of independence and become a Chive Charities member RIGHT HERE. Follow Chive Charities on Facebook HERE.